Flow ~ Just go with it! Remember those days when you are just so immersed in work that you forget about everything – the irritating co-worker who is constantly talking on the phone (loudly! ), the drone of the air-conditioner, even your lunch? Those are the days you were in what psychologists now refer to as a state of ‘flow’. Artists, composers are most often seen referring to a state of flow – at times when they have created some of their best work. Of course the years of practice to gain the required expertise for the task is a given. Its an almost universally accepted rule of thumb that about 10 years of deep immersion in a domain/subject is required before one can achieve the required expertise to make a significant contribution or improvement. But even if you aren’t a maestro writing a new symphony there are moments when you just do brilliant work and write a piece of code, or make an outstanding creative for the marketing campaign. ‘Flow’ is where we would all like to be when we are doing our work – in an enlightened state, churning out the very best we are capable of creating! So how does one create the environment that promotes the state of flow? (2) The task at hand must have clear and immediate feedback. This helps the person negotiate any changing demands and allows him or her to adjust his or her performance to maintain the flow state. (3) One must have a good balance between the perceived challenges of the task at hand and his or her own perceived skills. One must have confidence that he or she is capable to do the task at hand. Mihaly published a graph in 1997 which depicts the relationship between the perceived challenges of a task and the perception one has of one’s skills. The state of flow is more likely to occur when the task to be done is a higher-than-average challenge and the individual has above-average skills. That is where the manager has to play to her role in clearly defining goals and matching the tasks to the strengths (actual and perceived) of her team members. Knowing what to do: Goals are set clearly and communicated clearly to the employee. Knowing how to do it: The tasks allocated are matched with the competency of the employee to whom the task is allocated. Knowing how well you are doing: Frequent feedback on the progress against the expected outcomes of the tasks gives a sense of progress and keeps up the motivation levels. 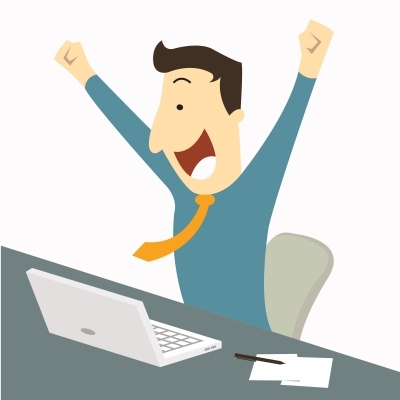 High perceived challenges: A feeling of a fairly high (but not impossibly high) challenge motivates the employee to put in extra effort to achieve the goal since it gives a sense of achievement – of having done something worthwhile. High perceived skills: The feeling that skills required to perform the task are perceived as high (not ordinarily available) gives an impetus to the employee. Freedom from distractions: This is where the manager contributes by ensuring that the employee can focus fully on the task allocated without constantly being distracted with lots of other activities/responsibilities. 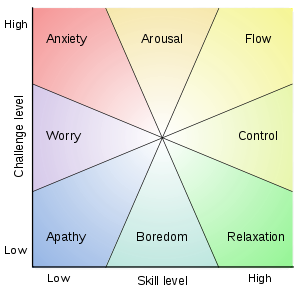 And saving the best for the last: Here’s Mihaly Csikszentmihalyi himself, giving a talk about the notion of flow at TED.